Two airlines have announced new service to Hawaii, and other airlines could roll out additional service to the islands in the near future. 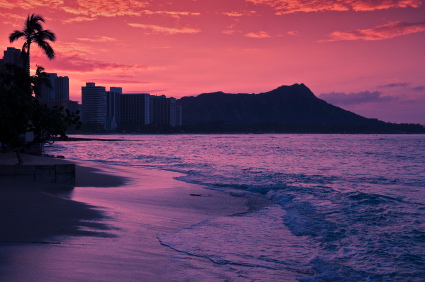 Here’s the scoop on new flights to the Aloha State. Alaska Airlines adds Honolulu to the list of cities it serves from Oakland and San Jose, augmenting established services to Kahului, Lihue, and Kona. Alaska has quietly become a big player in the market from the West Coast to Hawaii, with nonstops to one or more of the islands from Anchorage, Bellingham, Oakland, Portland, Sacramento, San Diego, San Jose, and Seattle. Both new daily flights, in 737s, operate westbound in the morning with afternoon return flights. Alaska doesn’t seem to be offering any unusual introductory fare specials, but its Hawaii fares are always competitive. Allegiant announced three-a-week flights to Honolulu from Las Vegas starting on June 29 and once-a-week flights from Fresno starting on June 30. Allegiant will use the 757s it acquired specifically for Hawaii flights. Las Vegas flights will operate westbound on Wednesdays, Fridays, and Saturdays, returning on Sundays, Wednesdays, and Fridays. And Fresno flights will go to Honolulu on Saturdays, returning on Sundays—a pattern consistent with typical hotel and condo-rental booking patterns (Saturday to Saturday) in Hawaii. Introductory fares, now available, start at $348 round-trip. That’s well below going rates in the West Coast-to-Hawaii market, which currently start at about $530. But Allegiant, as usual, will add a laundry list of fees. Schedules on both routes are similar to Alaska’s: morning westbound, afternoon returning. So far, the line hasn’t announced the seating configuration of its 757s, but you can bet they’re tight. In many ways, Allegiant’s announcement is the more interesting of the two. Hawaii fits in well with the line’s business model of less-than-daily flights from smaller cities to blockbuster visitor destinations, and Hawaii is certainly a blockbuster destination for the West Coast. Is More Hawaii Service Soon to Come? Industry observers expect future schedule additions to come from smaller cities. The operator of my home airport of Medford, Oregon hopes to be among the earlier targets, as do other midsized cities from Palm Springs in the South to Spokane in the North. What’s less clear is whether Allegiant will serve other Hawaiian destinations—notably Kahului—from those small cities. Although Honolulu would seem to be the more obvious choice, as Alaska shows, lots of Hawaiian vacationers from the West Coast these days are heading to the hotels and condos of Maui. Alaska’s more interesting announcement came earlier: It will run flights to Hawaii from Bellingham. This move was widely viewed as a preemptive strike against Allegiant, which has developed Bellingham as an important center primarily serving Canadians fleeing the much higher fees at Vancouver just across the border. Regardless of the ongoing uncertainties, West Coast vacationers will welcome the new flights to the islands. Smaller cities, especially, are wooing Allegiant to be in the next wave of expansions.